Kitchens have always being the centerpiece of the modern home, and a focal point of everyday life and entertaining. More than any other room, the kitchen seems to be where we spend more and more time while at home. A well-designed cooking and dining area can inspire you to spend more time preparing meals and can be the motivation for entertaining friends or family over and showing off your well-honed gourmet skills. Thinking about remodeling your kitchen? You’ve come to the right place. 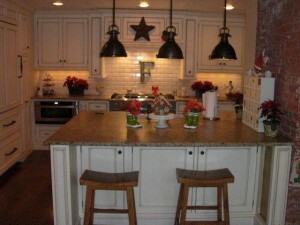 Punch List Inc. has the experts in kitchen remodeling. Our team of designers and contractors will make your remodeling project much easier and more pleasant for you. Our design team will work with you to create your dream kitchen. They will come to your home and take repeated measurements to make sure we’re correct. Then they will design your kitchen layout including where each cabinet and appliance will be (how wide, how deep, how tall, etc.) During this process, you will be involved in the design and revision of your kitchen design until your completely satisfied with your kitchen. Punch List Inc. is currently the number one contractor in New Jersey. No other contractor can compete with our level of service, quality, problem solving, project management skills, and warranties. Since we’re the only remodeling company with a recognized brand name and a real corporate team, we offer a completely different comfort level and satisfaction guarantee.